We had been here a few times before and tried various Malaysian dishes. 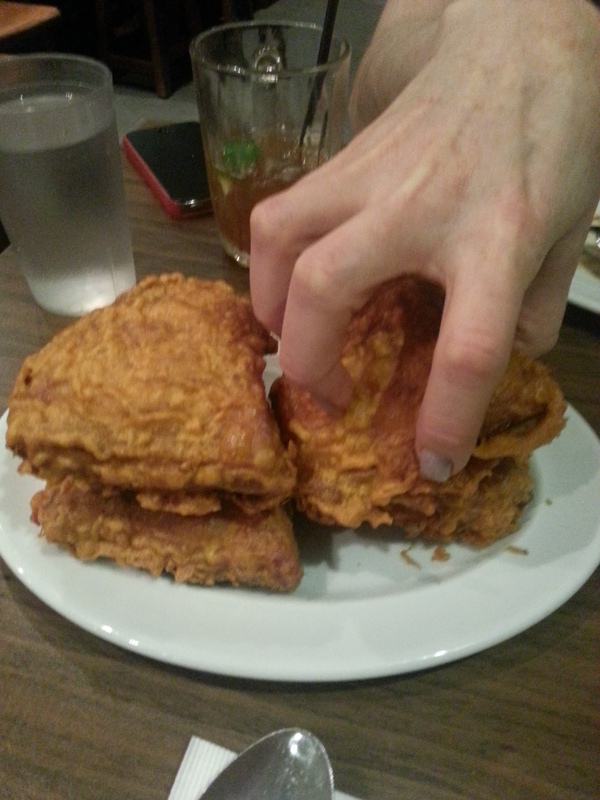 We noticed many people ordering the fried chicken and it looked pretty appealing. 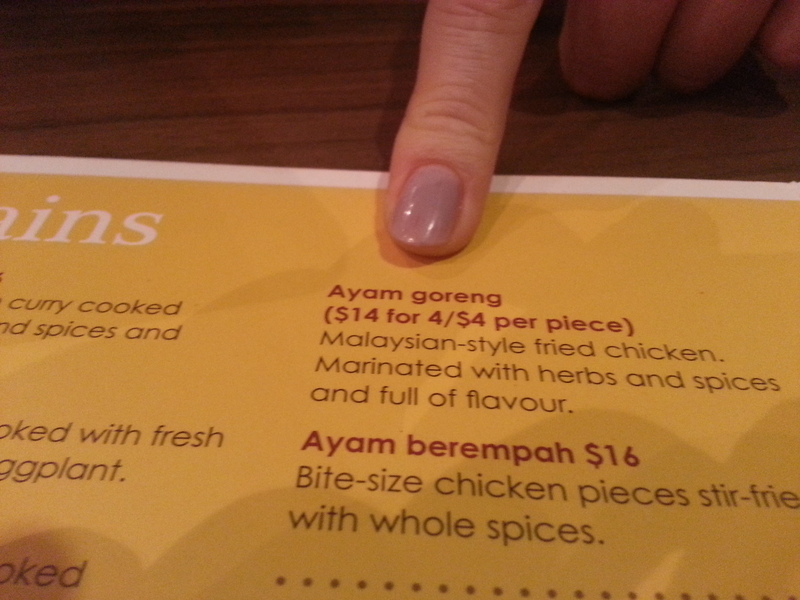 So we decided to add Mamak to the list of Melbourne Fried Chicken places. 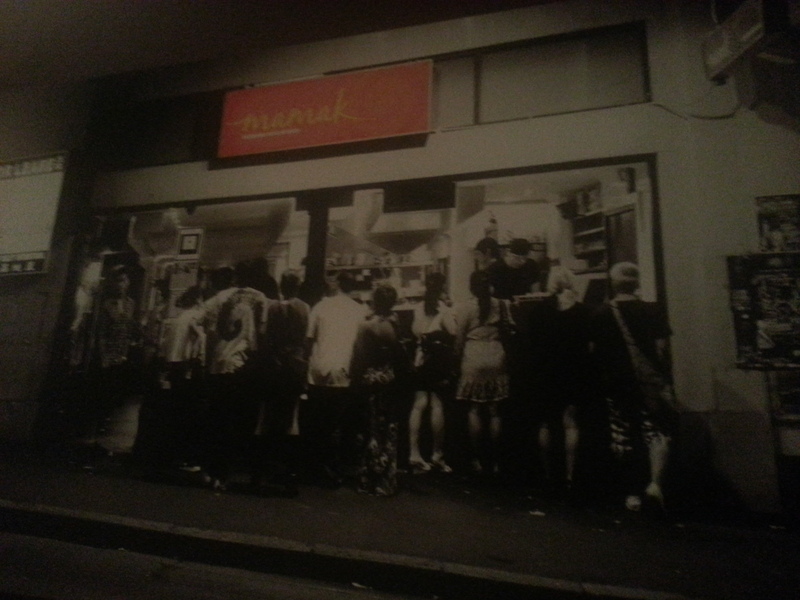 Mamak is a busy venue that does not take reservations. We have been amazed by how quickly a long queue can form that spills out into the street. The display window demonstrates how they make their roti; distracting you from the long wait and impressing you with their dough handling skills. 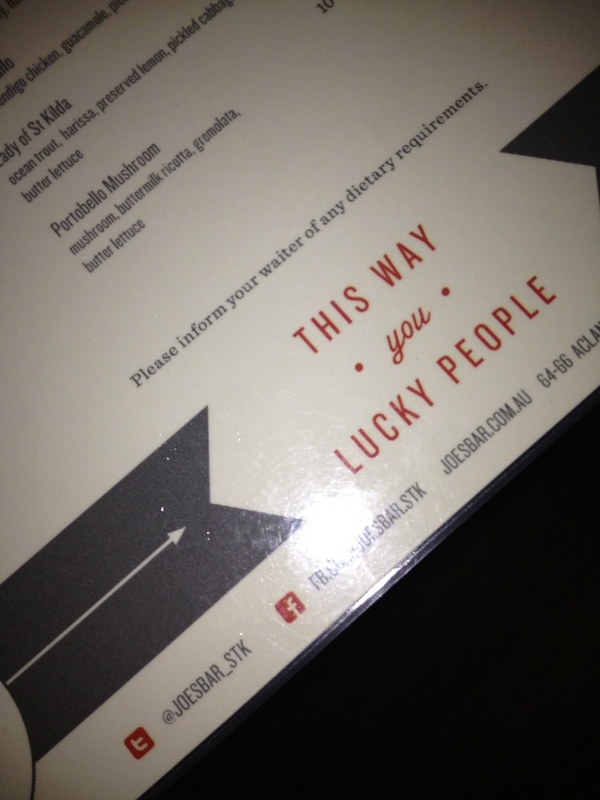 We had our sight and taste buds set for Mamak before heading to an Iggy Pop gig and what better way than to enjoy a rock concert than with a belly full of spicy Melbourne Fried Chicken. We ordered the Roti Telur (classic egg roti), Kangkung Belacan (Stir fried water spinach with chillies and shrimp paste), and the Ayam Goren (Malaysian style fried chicken, which the menu boasted to be marinated with herbs and spices and full of flavor). 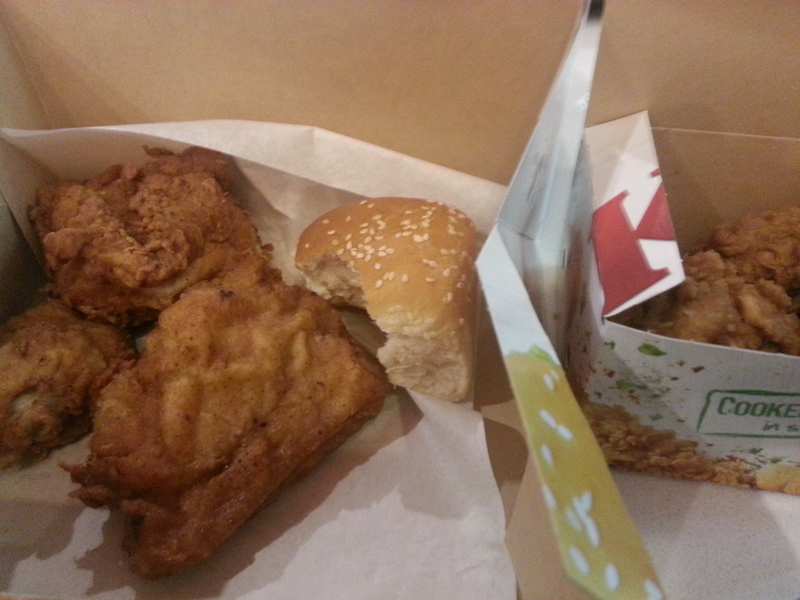 The deal was to get 4 pieces of fried chicken for $14 and you can order single pieces for $4 a piece. So we took the deal and got 4. 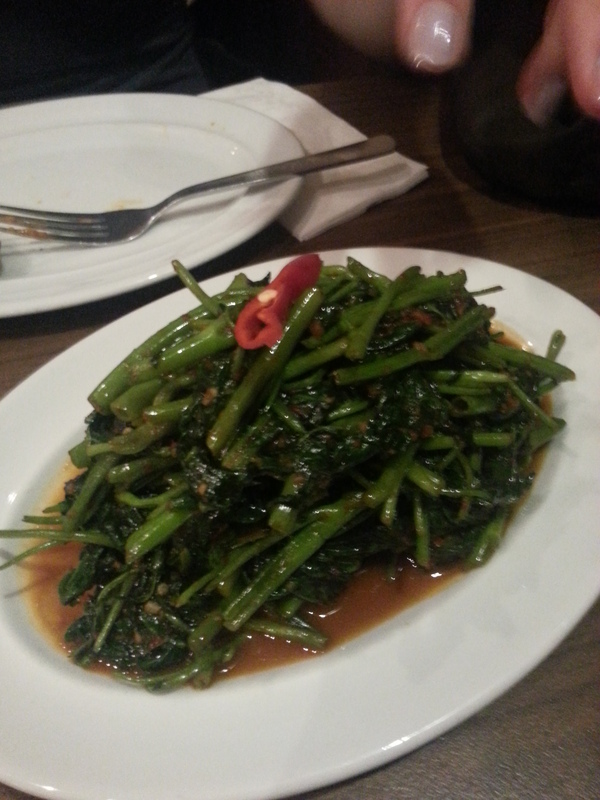 The Roti Telur and spinach arrived first and we dug into them straight away. 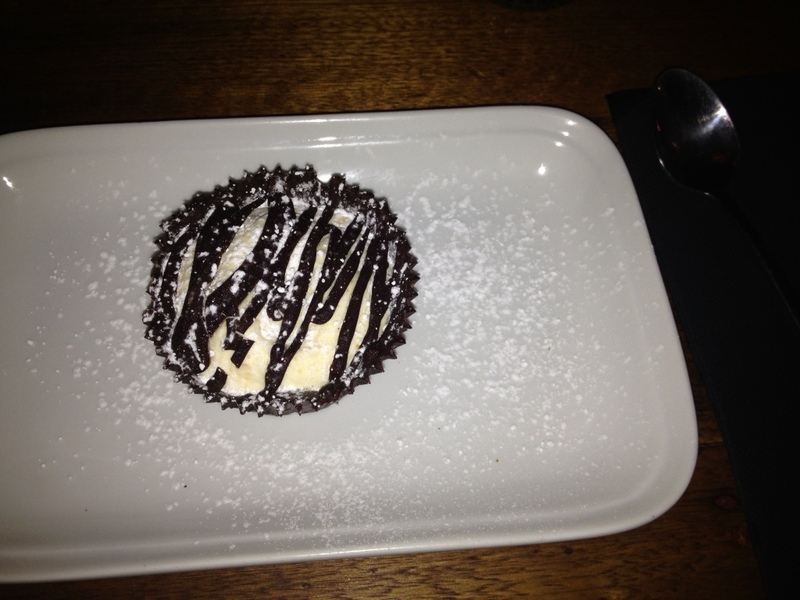 We were no strangers to theses dishes and they continued to please. Mamak has really good roti that must be tried and the spinach was spicy and very yummy (if you like the slightly fishy taste of shrimp paste). The chicken had a wait time of 15 minutes. It arrived shortly after we were done with our first two dishes. It was very hot and golden which made us happy. However it lacked of the spices we were expecting. All the pieces were thighs and not spiced at all. 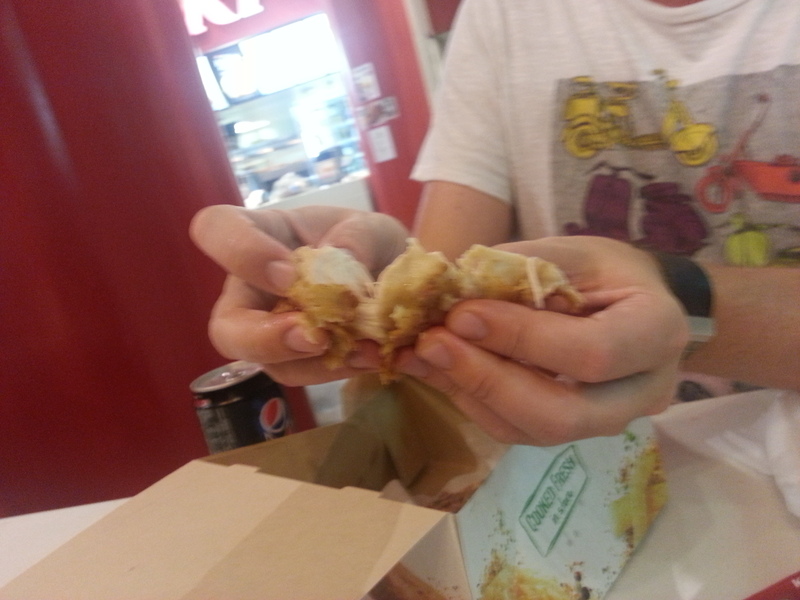 They had a basic chicken taste which was ok, but not the best meat we’ve had. Extra points were earned for it being freshly made. The Chick was sad the roti dipping sauces had been taken away and ended up dipping the chicken in the spinach sauce to get some extra spice. A bit of chili sauce would have hit the spot. 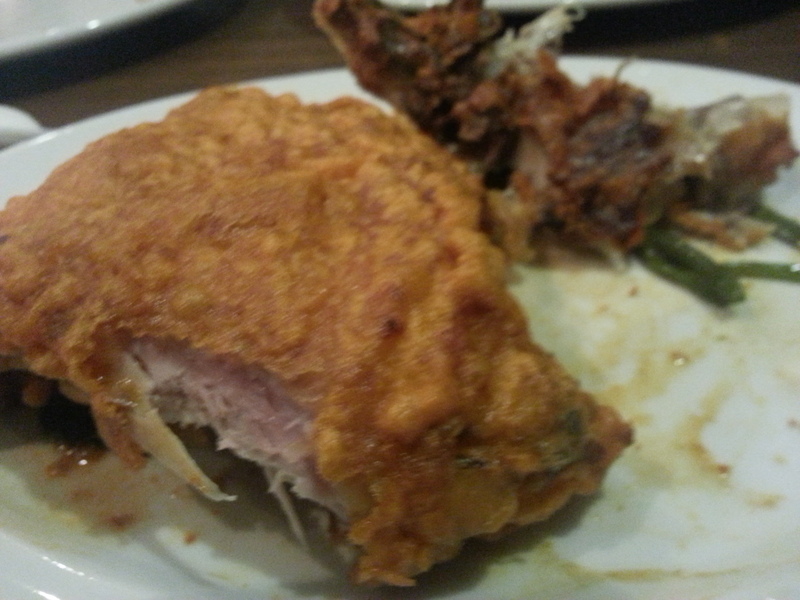 Being the dark meat, the thighs made us feel a bit heavy and we longed for some variety of chicken pieces, perhaps the table nearby got all breasts? The chicken seems to be what many people order at Mamak, however we dont feel it was the star dish of Mamak and we definitely wouldn’t consider Mamak as our source of heavenly fried chicken. On the other hand, Mamak’s roti is really good and so are many of its other Malaysian dishes. We will be back to try out more. We were directed here by a post on our Facebook page recommending the famous Joes’ Bar and Dining Hall which featured Melbourne Fried Chicken. 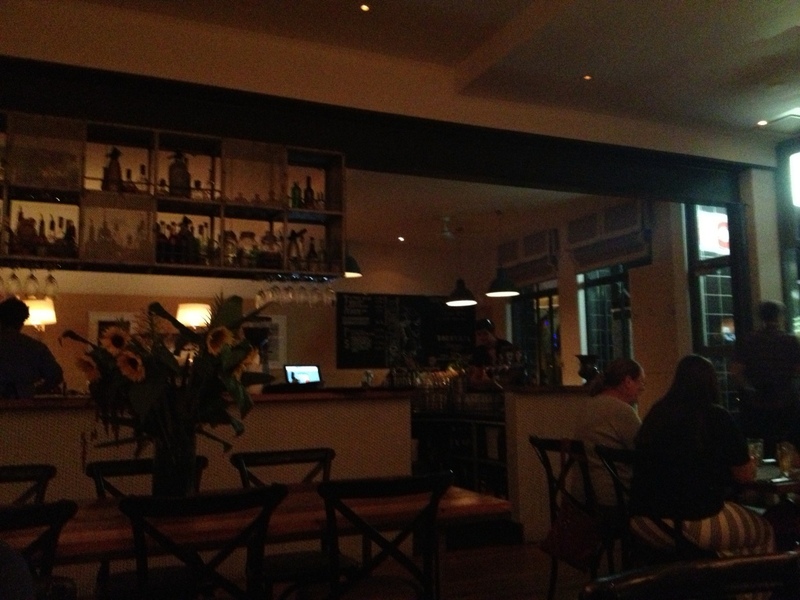 The recommendation came from their executive chef: Katrina Higham. So we put it up on our Wall Of Clucks, waited for the right night and got ready to fly. The Chick had just arrived from a long trip to the US and was ready to get her fingers greasy with some Melbourne Fried Chicken. We decided to cycle down to Joe’s to build up an appetite. We figured since their menu had the fried chicken as a snack we could have it as a light meal before the Chick passed out from Jetlag. 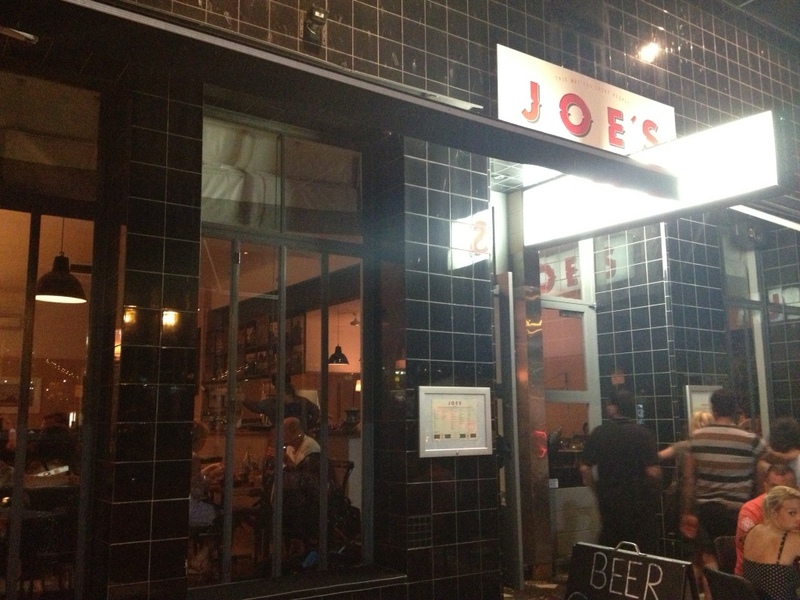 Right on the corner of Acland and Carlisle in St Kilda, Joe’s is a cross between a bar and a diner with both indoor and outdoor seating. Upon looking at the menu it became clear our light meal plans were pointless since we had to try both the chicken and the burgers. 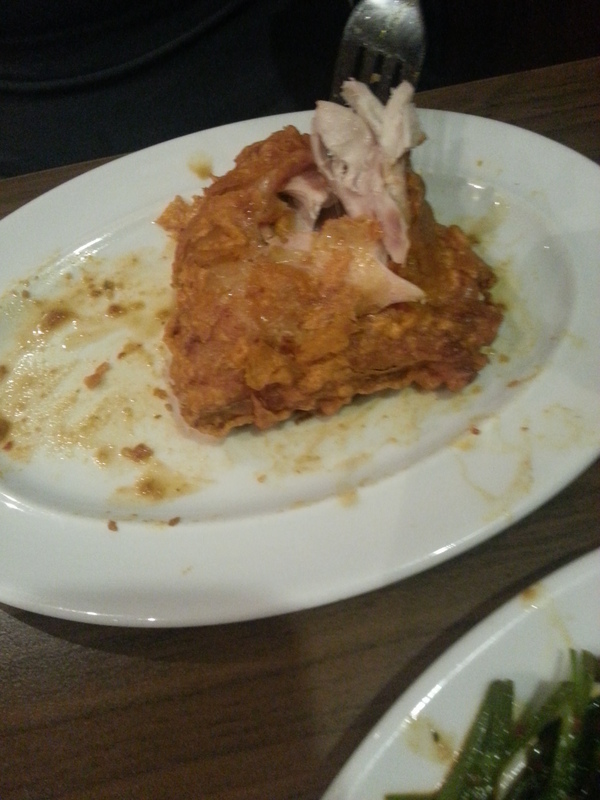 The waiter told us that the chicken serve consisted of 3 pieces and could be sufficient as a meal on its own. 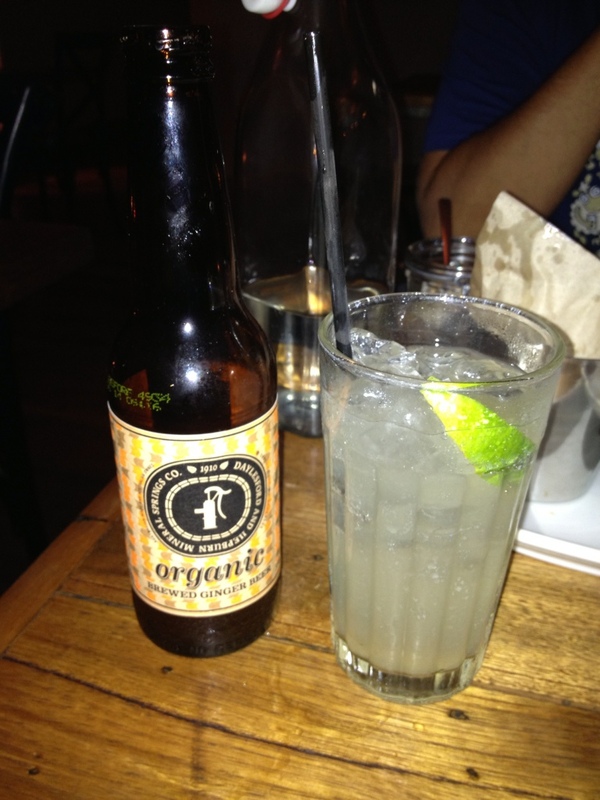 So we decided on ordering the Southern Fried Chicken with chipotle sauce and lime, the beef sliders and onion rings and a good Victorian brewed pale lager for Hollywood and Daylesford ginger beer for the Chick. 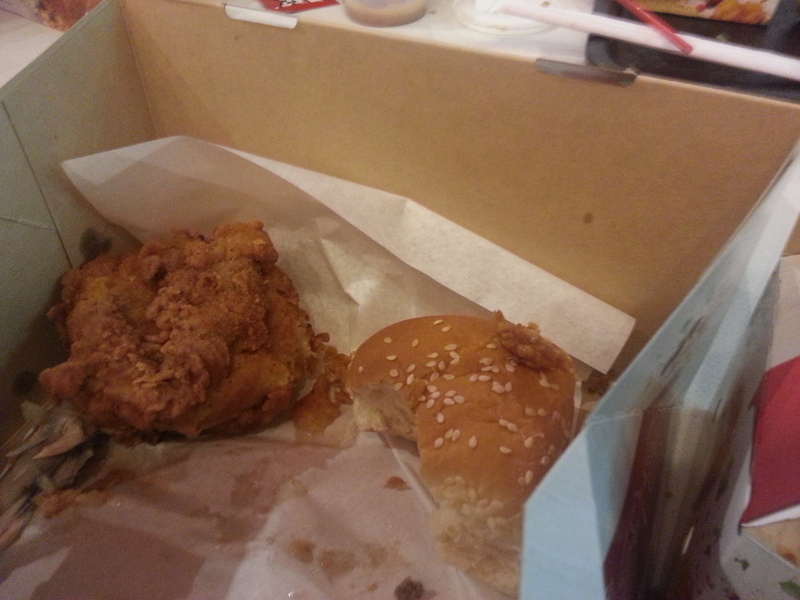 The food arrived and we sunk our teeth into the hot chicken. The skin seemed moist and fluffy which was to Hollywood’s liking and the meat was cooked perfectly, tender and hot. All the chicken pieces were breast pieces, no bones about it. 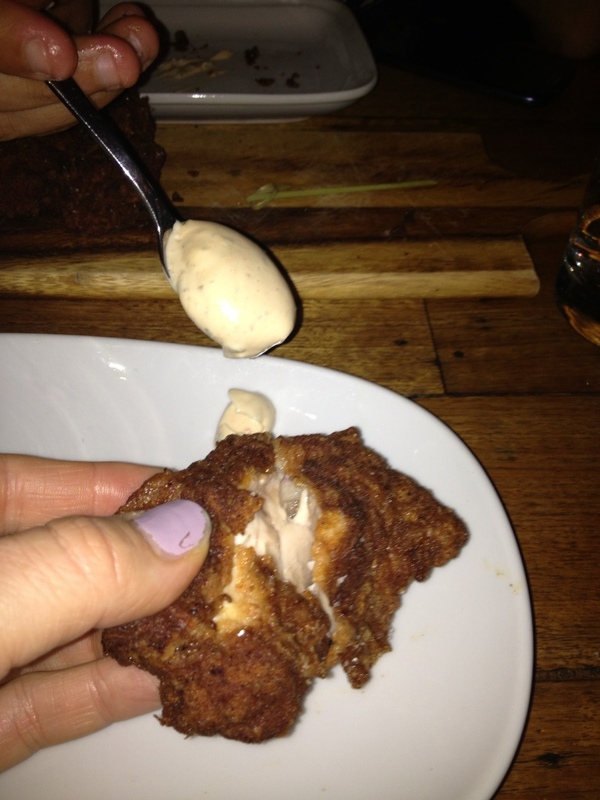 The true star feature of Joe’ southern fried chicken was the spice mix. The skin had a great spicy taste that made it very flavorful and just spicy hot to the right level that made us drooling for more and more. Now factor in the chiptole side sauce and the lime and you’ve got a dish that will make you say “Hey” . 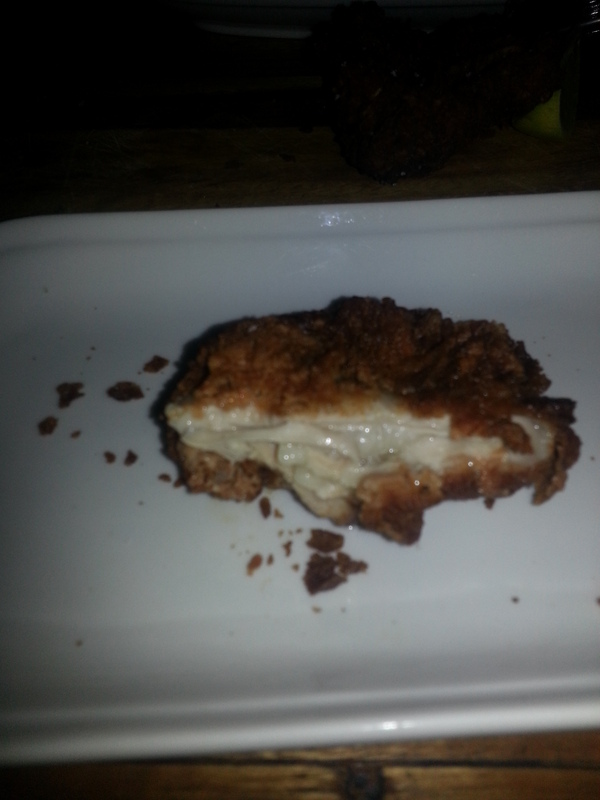 To give credit where it’s due, Joe’s Bar has mastered a southern fried chicken dish that is not to be overlooked. Thank You Joe! We’ll be back for sure, however Hollywood felt we might be needing more than just 3 pieces next time. 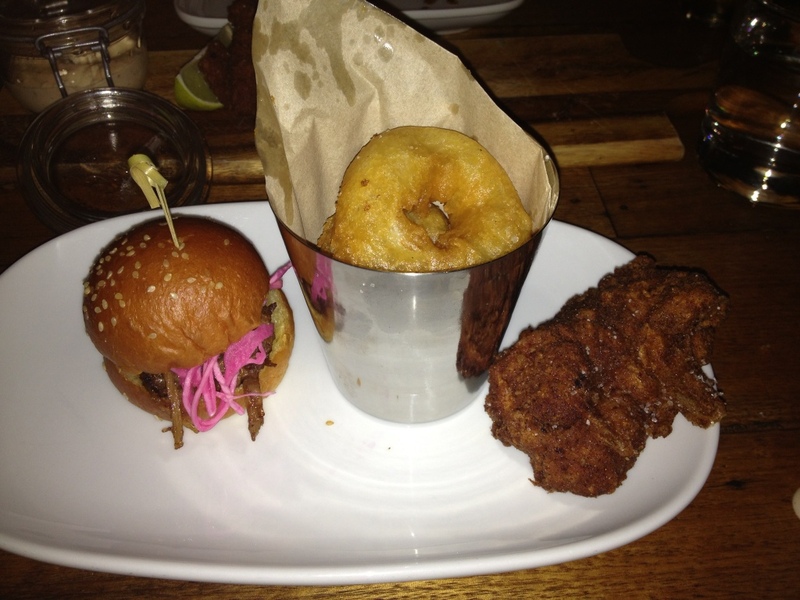 The beef sliders and onion rings were good, but not the stars. We finished off with dessert: chocolate chip and peanut butter cookie for Hollywood, peanut butter ice cream cup that the Chick had the hots for and thought was incredible. But really, how can you go wrong with ice cream, chocolate and peanut butter! 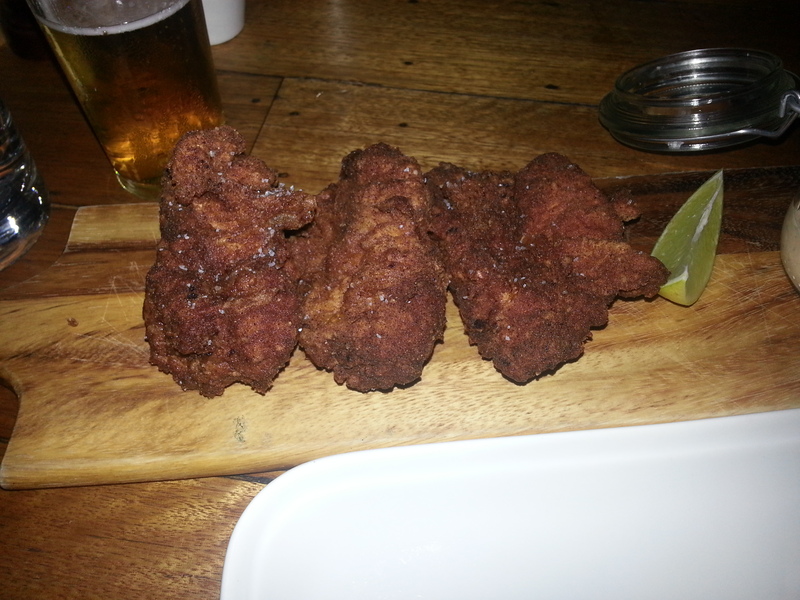 Overall, Joe’s Bar and Dining Hall has really good chicken and atmosphere and we are keen on going to get some more. Hopefully we will get a chance to try the much raved about burgers. Go There Now! It was a Friday night and Hollywood and the Guns were sinking a few cold ones in the hot Melbourne weather. There it was across the street, they were eyeing it, then eyeing each other, and in a weird way they knew it was eyeing them back. 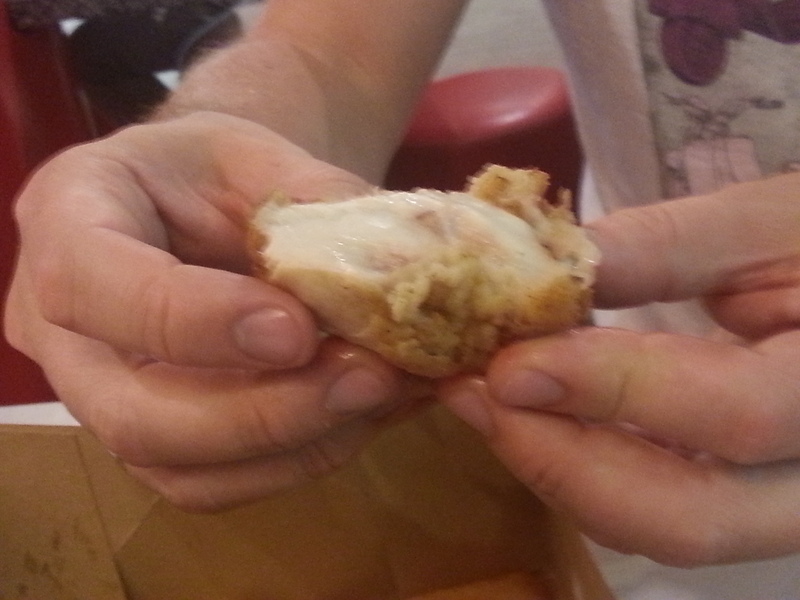 Yes, it was the big cluck monster of Melbourne Fried Chicken: KFC! The Guns dropped it in mid conversation “We should have some food after these drinks and it’s about time you reviewed KFC”. 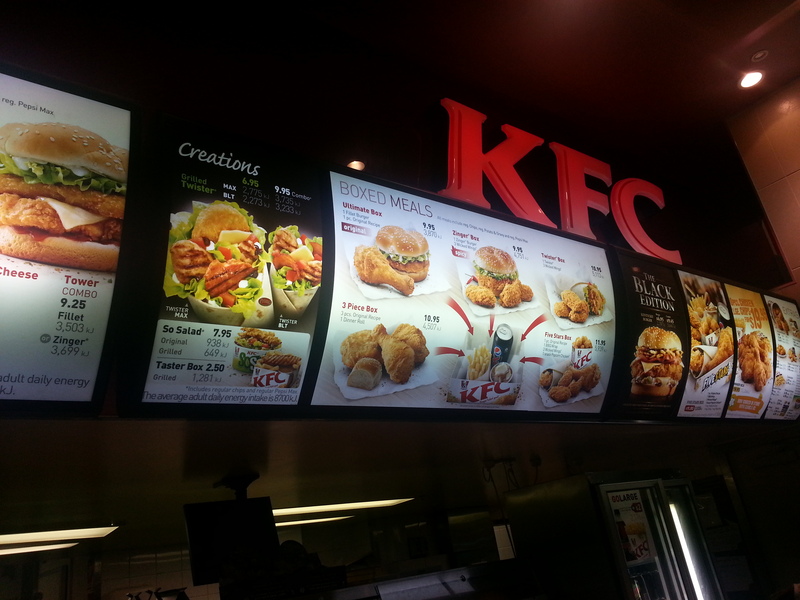 There was a frequent argument presented by Melbourne Fried Chicken fans that we needed to review KFC because it could be considered as a baseline . 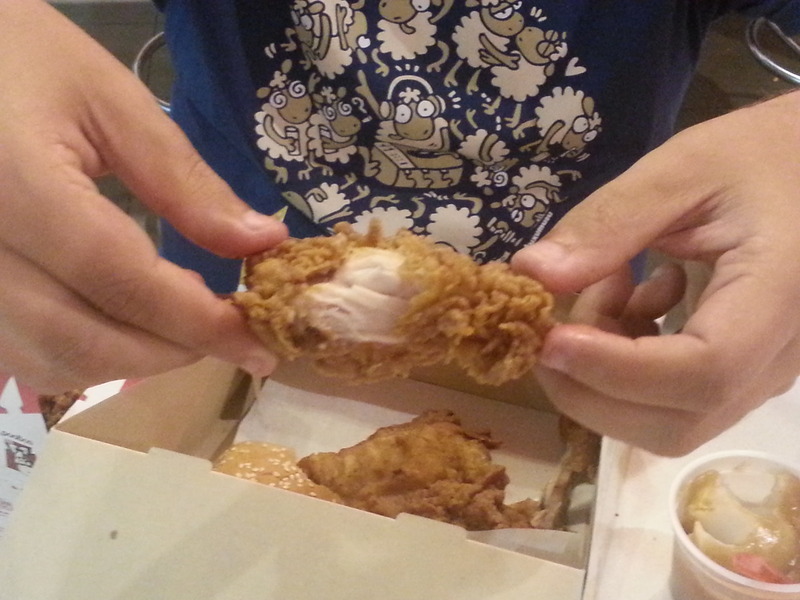 KFC’s wicked wings were also being talked up largely. Hollywood knew The Chick wasn’t too keen on sampling KFC so considering she was out of town, this seemed like a good opportunity. 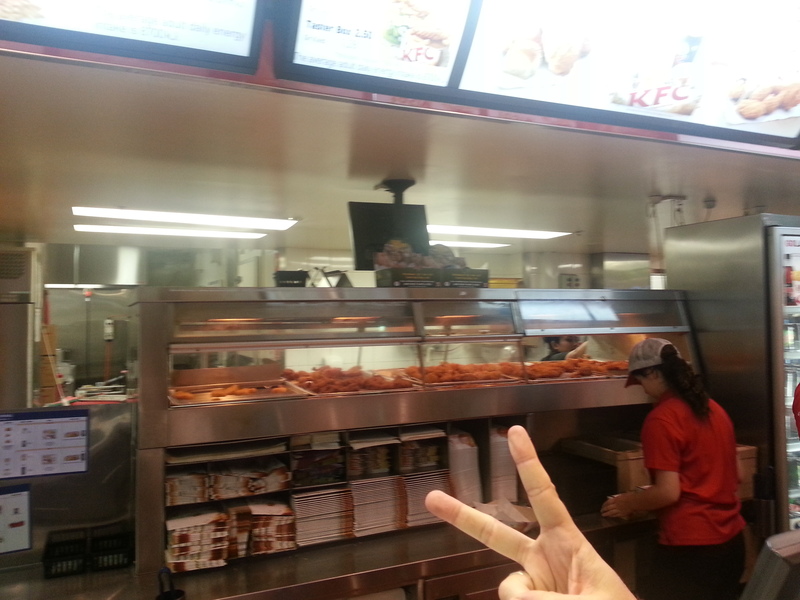 So we downed our beers and headed over to KFC. From looking at the menu we noticed that KFC were trying to promote their chicken burgers more than anything else, but we weren’t to be distracted. After a long discussion we decided on getting 2 orders of wicked wings (3 pieces) and 2 orders of 3 piece dinner boxes. We placed our orders and Hollywood tried being smart by asking for the chicken to be cooked fresh but was given rejection and odd looks instead. Must’ve been because of the tipsiness. 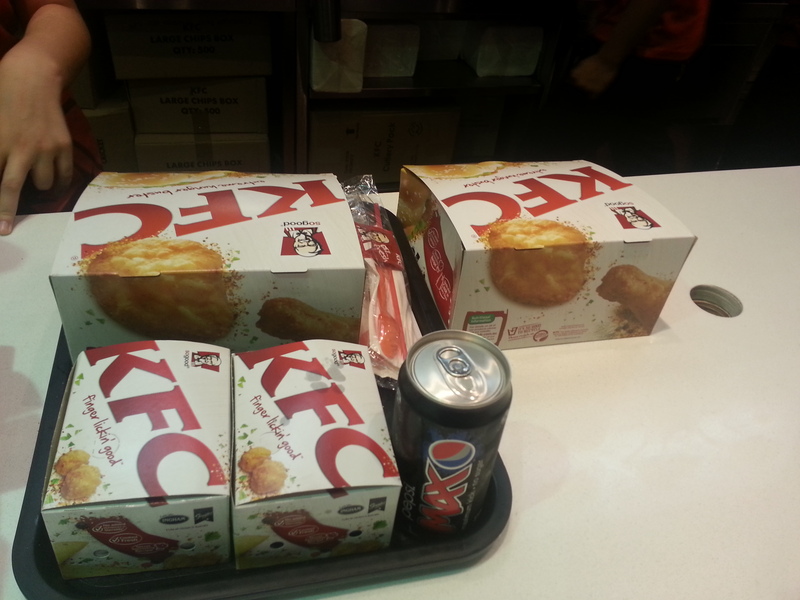 We were given our big tray of orders and parked ourselves at a table and started eating like no tomorrow. 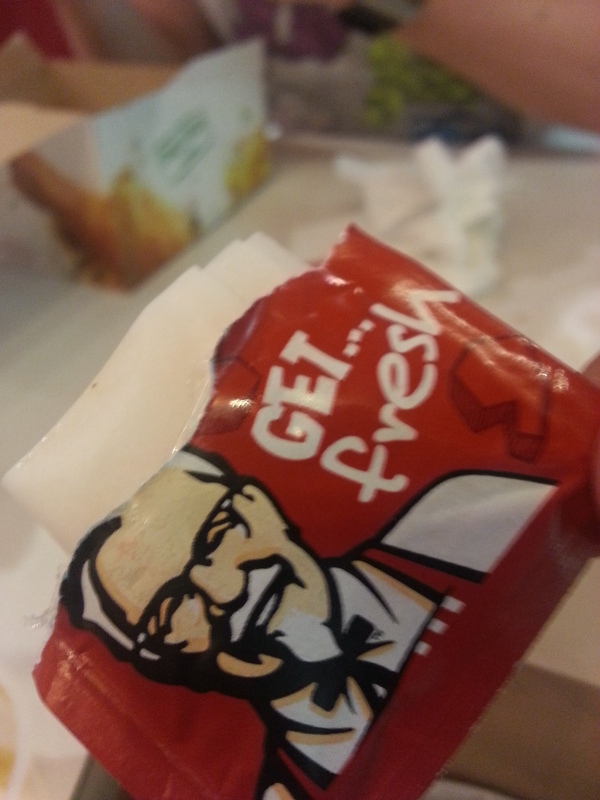 The chicken was hot, cooked through and greasy. The thigh pieces, as always, were very greasy. The wicked wings on the other hand consisted of wings and drummettes that had a thick crispy spicy skin that was very tasty. The accompanying sides were, if anything, less than average. They consisted of a white dinner roll, just OK fries, and very bad mashed potatoes and gravy. 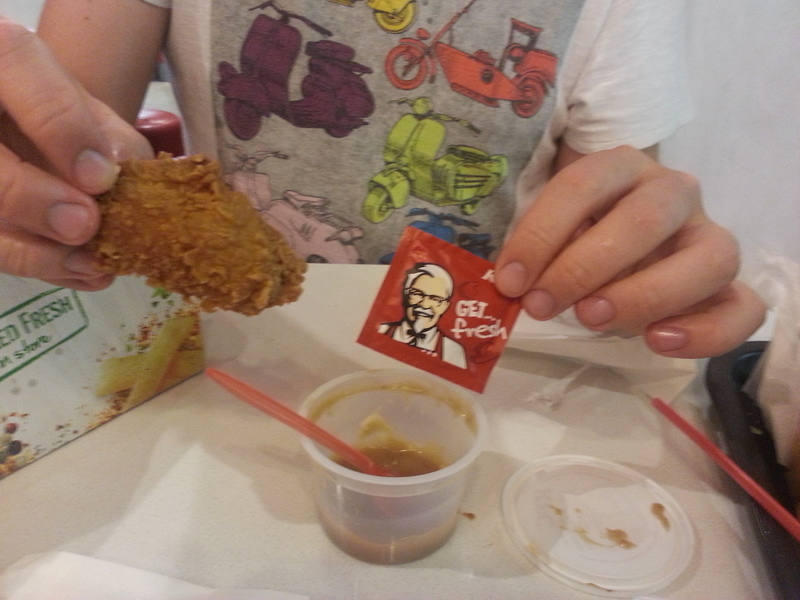 Both Hollywood and The Guns enjoyed KFC and thought that it was just the right meal for the moment. The Guns did state that KFC is a hit and miss kind of venue for Melbourne Fried Chicken, but this time it was closer to a hit. Overall, it’s not a bad option but be selective and try to find a good well known branch with plenty of action to guarantee a more fresh taste.